thank you for Supporting #DecktheAlley on November 19th! On Saturday, November 19th, we launched the Alley’s first ever giving day #DecktheAlley. We are excited to announce that we have raised 100 donations in one day! In total, our generous Alley supporters have contributed $10,329 to the Alley on November 19th. Their personalized ornaments, crafted by Alley Theatre artisans, are currently displayed on the Happy Alleydays Tree in the theatre lobby. On December 20th we will drop the ornaments in the mail to our #DecktheAlley donors, just in time for the holidays! A HUGE thank you to all of our amazing donors, ambassadors and staff members who helped make the Alley’s first ever giving day a great success! Together, we have funded one student matinee performances of A Christmas Carol: A Ghost Story of Christmas. Thank you all for helping us impact the lives of the young members of our community. IF YOU HAVEN'T GIVEN, IT'S NOT ToO LATE TO DONATE! You can still help us reach our goal of allowing 8,400 Houston-area students to experience A Christmas Carol at the Alley Theatre for the first time. 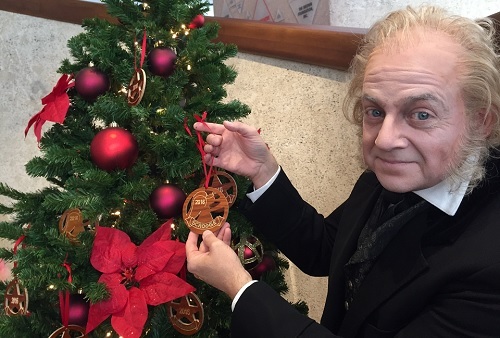 Don’t be a Scrooge, celebrate Happy Alleydays with us and make a donation to the Alley Theatre by December 31st! 3. Spread some Happy Alleydays cheer on Facebook using the button below! For more information about the Happy Alleydays campaign, contact us by email or phone 713.315.5413. Go here to learn more about the benefits associated with giving. Can I still get a personalized ornament? What will happen to my ornament after #deckthealley? 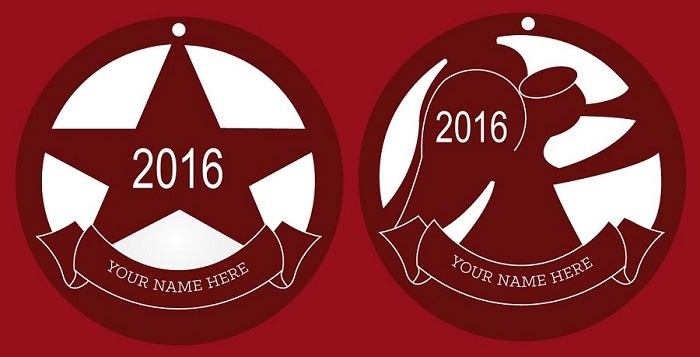 We will send your personalized ornament to you in the mail on December 20th, just in time for the holidays! Since the ornament is crafted by our artisans at the Alley Theatre Production Center, it makes for a great keepsake for all Alley Theatre fans! what does my gift to the Alley help to fund? Your donation in support of #DecktheAlley will allow Houston area children to attend student matinee performances of A Christmas Carol. We will send you regular e-mail updates on the progress of our Happy Alleydays fundraising campaign and how your gift made a difference. To learn more about other ways to support the Alley and the impact of your gift, go here.